In an attempt to increase the number of environmentally friendly cars on the roads in Germany, the country's federal council (Bundesrat) has passed a resolution that will stop the purchase of new internal combustion engine cars by 2030. Once the ban is enforced, German citizens will only be permitted to buy zero-emissions vehicles. It won't matter whether the vehicles are electrically powered or hydrogen fueled, they just won't be able to have an internal combustion engine. At the moment, the ban will only be enforced in Germany, but the Bundesrat has called for the European Commission in Brussels to consider implementing it across the entire European Union. Considering Germany is a fairly influential EU member state, it's not impossible that this call for action could very well result in some changes. The Bundesrat resolution calls not only for "stimulation of emission-free mobility" which will no doubt come in the form of buying incentives, it also suggests a "review of the current practices of taxation and dues" which could lead to a clamp down on diesel tax advantages to reduce the fuel's popularity. 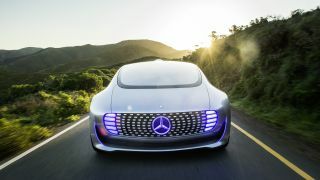 This resolution (combined with the fact that some of the biggest German automakers such as BMW, Mercedes-Benz, and Volkswagen are already working on lines of electric cars) could see Germany's roads soon become very green indeed.